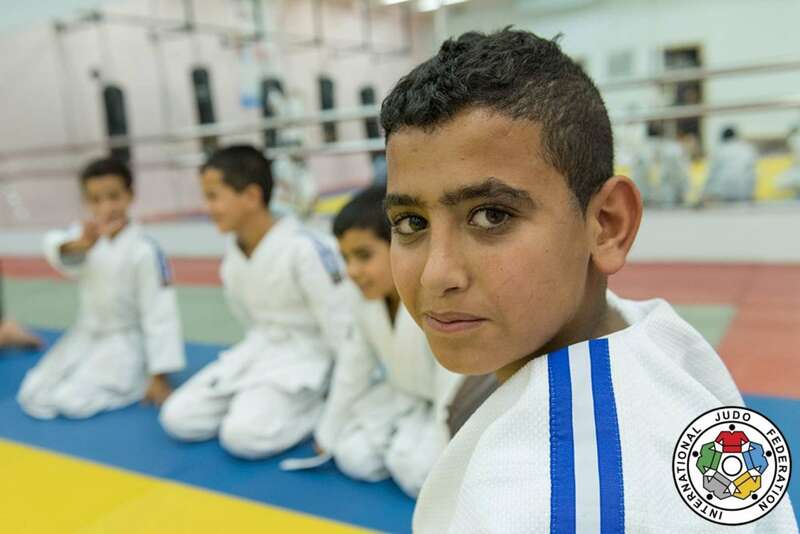 For several years the International Judo Federation and the Israel Judo Association have been discussing about the possibility to develop Judo for Peace (JFP) activities in the region. Recently the JFP commission visited Israel and the first activities were officially initiated for the benefit of all the communities. Mr. Nicolas Messner, IJF Judo for Peace director, recently visited Israel to discuss the opportunities and possibilities to build projects in the region. During his stay, he participated in several powerful programmes that includes all communities without discrimination. The first day of the visit was dedicated to the ATHENA project (read: https://www.ijf.org/news/show/new-record-for-the-athena-project-in-israel), which focusses on the promotion of sport for women. More than 500 young girls were present on the tatami together with Majlinda Kelmendi (KOS), Olympic Champion, and Yarden Gerbi (ISR), Olympic bronze medalist. The second day was dedicated to the young children of the Bedouin community in the South of the country. The judo for Peace delegation also visited one hospital where sick children are fighting against cancer and use martial arts to overcome their health situation (Kids kicking cancer). Mr. Moshe Ponti, President of the Israel Judo Association explained: “This is very good to have such kind of projects. In Israel, we have many different communities and the situation in the whole region is not easy but we are working hard to develop judo for everyone. The project with the Bedouin children has been launched two years ago and it is really successful so far. We need more equipments to develop the programme but we are working on that. Our challenge is to keep the children within the programme but it’s working. You know, we are doing sport, especially judo, not politic and judo is for everybody. Judo has been part of my life for so many years. My dream is that one day, some of those Arab children we are taking care of will go to the Olympics and why not win a medal. The ones who are now participating in the judo programme can really become role models for the whole society. Harat can be proud of its talented youth. We can not guaranty that people will become champions, but we can be sure that judo will change their life and that they will become better persons. Liraz Ben Melech is the infrastructure coordinator of the Israel Judo Association. Very much involved in the organization of all the activities, she gave more details: “Our government has the project to attract more people to sports. Ten sports have been chosen to achieve that goal and judo is among those ten sports. The idea is to make sport cheaper and easier to access for the youth. Our main challenge is to develop judo outside of the cities. Judo is very well represented in the cities and having amazing champions such as Yarden Gerbi and Or Sasson helps a lot. But we need to be more present in the countryside. The challenges are numerous but step by step more and more people are coming to judo, especially at a young age. Without any discrimination, judo has a positive impact on the local populations. 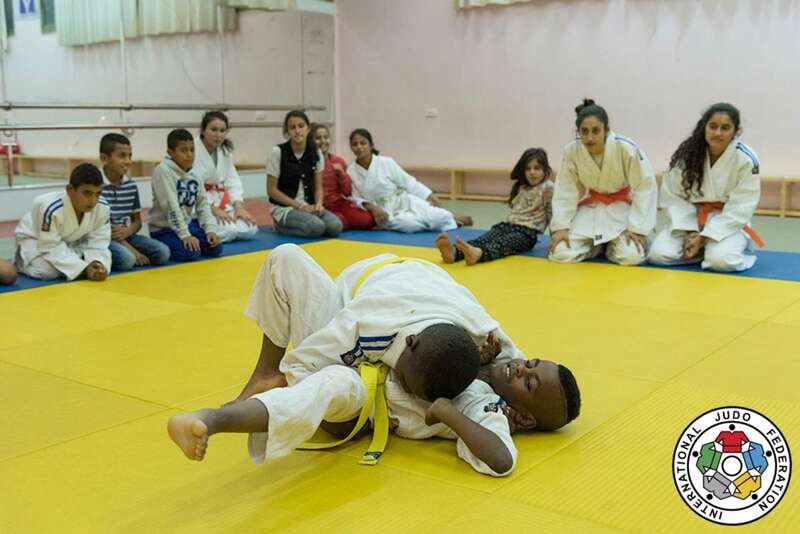 This first visit of the Judo for Peace commission was very successful and opened the doors to a further cooperation in Israel and in the whole region.